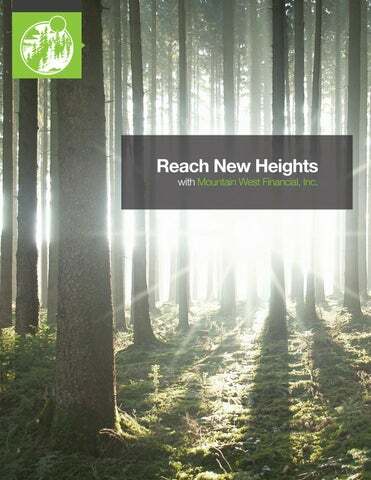 Reach New Heights with Mountain West Financial, Inc.
We are a team that truly believes in one initiative: to make homeownership a reality. 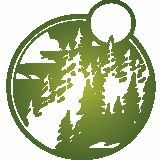 We are excited to introduce you to Mountain West Financial. Michael Douglas and Gary Martell Jr. began their careers in the mortgage industry as competing Originators. They use that background today to maintain an environment where the entire company works toward one common goal: to close loans while delivering customer service that is second to none. Since 1990 Mountain West Financial has built a reputation of not just putting people in any loan, but putting them in a home loan that suits both their short and long term goals, thereby earning the opportunity to become a lender for life. Our success over the past 28 years is derived from our goal of offering sustainable homeownership solutions, doing right by our team, clients, and referral partners, and continuously expanding our program offerings, systems and tools. In order to accomplish these goals we constantly analyze and improve our internal processes to enhance our service levels for all of our clients, both internal and external while maintaining high business standards. Executives Michael Delehanty CFO Michael is the Chief Financial Officer for Mountain West Financial. With over 20 years in the mortgage industry and a majority of that time being served in secondary marketing roles, Mike is responsible for developing and implementing strategic initiatives to improve productivity, enhance customer service, increase production and improve profitability throughout the company. Michael graduated from Siena College with a BS degree in Finance. Jill Burns Executive Vice President of Operations Jill has been in the Mortgage business for nearly 25 years, with a proven record in senior operational roles. She first joined the MWF team in 2012 as Senior Vice President of Operations, and now holds the role of Executive Vice President of Operations. In addition to oversight of all back office operational functions, she also contributes to setting the companyâ&#x20AC;&#x2122;s guidelines, policies and procedures. Jillâ&#x20AC;&#x2122;s primary role is to ensure top quality, service, and maximum productivity for all MWF centralized and distributed fulfillment locations. Her role also entails upholding company culture and philosophy. John Cady Senior Vice President of Production John brings over 20 years of mortgage banking experience to his position and is responsible for the management of all retail and wholesale mortgage banking production activities. During his career, John has held every production position from loan officer to his current responsibility, SVP of Production. He has overseen successful production divisions at several mid sized mortgage lenders. John joined Mountain West because he believes it maintains the perfect mix of culture and service that many mortgage professionals are looking for, and that it is in the perfect position to grow market share throughout the Western United States. Stacy Mohr Senior Vice President of Capital Markets Stacy joined MWF in 2006 as the Accounting Manager, grew to a Controller, and is now SVP of Capital Markets. She oversees the Capital Markets, Post Closing, Servicing, and Human Resources departments. Her education and experience is primarily in accounting, finance, and management. Stacy holds an MBA from California State University, San Bernardino and is a Certified Mortgage Servicer by the Mortgage Bankers Association. Leadership Shannon Kaufman Regional Vice President of Production - Southwest Region Shannon comes to Mountain West Financial, Inc. with over 25 years in Mortgage Banking experience. More than 15 of those years have been demonstrating consistent success in helping to grow and build a strong sales team and culture with Mountain West Financial, Inc. Shannon began her career in operations, eventually transitioning into sales where she quickly excelled and found her niche. Shannon has expertise in relationship building and creating long and loyal alliances, while consistently proving herself to be a top production leader throughout her career. Janell Howell Regional Vice President of Production - NorCal Region Janell is no stranger to mortgage banking, starting her journey in 1981 and then joining Mountain West Financial in September 2012. She started her career as an underwriter, leaping into sales as an account executive and then finding her true passion as a sales manager. Janell believes Mountain West has a phenomenal team and is very proud and honored to be a part of this family. Jeff Potts Regional Vice President of Production - OC/LA Region With over 30 years experience, Jeff brings a vast knowledge base and is excited to bring his passion for building and growing to Mountain West Financial. Having had the privilege to build and lead teams from a small mortgage broker to an area for a Top 10 national lender combined with his previous experience as a top performing originator, has allow for him to lead by example. Servant Leadership and putting othersâ&#x20AC;&#x2122; needs ahead of his own have been a hallmark of his career and enables him to maintain those ultra-important trust relationships. Jeff and his wife Sandy, have four adult children and enjoy spending quality time with all of them when possible. In his spare time you might find him hiking a mountain, on a golf course or having fun with his friends, playing cards. MWF C.A.R.E.S. At the foundation of everything we do, every decision we make, and our moral compass that drives our vision and goals are our core values. Our core values are more than just words on paper, they were derived directly from the input of our team. When asked to define who we are and what we do, the words that were used time and time again are the foundation: Community, Attitude, Reputation, Employees and Service. We take great pride in the fact that our values were not crafted from what we think people want to hear, but are the voice of all who represent Mountain West Financial and who personify MWF CARES. Our History Over 29 Years of Experience Mountain West Financial opened on May 17, 1990 in Lake Arrowhead, CA. In the first five years of our company’s history, we grew from one to six retail locations in multiple states. In 1995, we became a mortgage banker, hired Underwriters and Funders, and acquired our own credit lines. in 1997 we expanded into wholesale lending. Through the years we’ve continued to grow and adapt, our most notable change has been the expansion of our retail presence. Since 1990, we’ve gone from being a small mortgage broker, to a retail lender, to primarily a wholesale lender, and as we sit today we support both retail and wholesale. We’ve partnered with many companies and settlement service providers, operate under multiple DBAs in states across the western United States, and have provided billions of dollars in home loans. Giving Back Our high business standards have been recognized and awarded with various accolades such as Mortgage Executive Magazine’s 50 Best Companies to Work For, Scotsman Guide’s Top Mortgage Lender, Top Work Places, Mortgage Executive Magazine’s 100 Most Influential People, several program specific awards, and more! As a company, we work with many local and national organizations, charities, and events, such as Operation Surf, Ronald McDonald House, Our Fallen Soldier, Veterans News Network, Hometown Hero, and Rebuilding Together. We participate in school supplies drives, food drives, adopting families during the holidays, and many other causes. One of our longest standing participations has been with the Relay for Life, where for each of the last 14 years we have raised money and sponsored a team during the 24 hour event. It is through our local commitments that we continue to make great impacts in our communities. Mountain West Financial strives to recognize our outstanding performers internally in many different ways. Between our quarterly challenges, Front of the Line Passes, and numerous annual awards presented to those meeting production standards of the Diamond Club, Elite Performers, Homeownership Leaders, Rookie of the Year and Top Branch, we award those who personify the values of MWF. Separating yourself from the crowd has never been easier. In an ever-changing industry Mountain West Financial will be your rock. Our teams work diligently, focusing time and effort on identifying, growing and maintaining partnerships that allow us the opportunity to expand our program offerings along with tools and resources you need to stand out from the crowd and grow your business. Exclusive Programs Exclusive program with savings for teachers, police, firefighters state and county employees. Itâ&#x20AC;&#x2122;s our way of giving back! Lock and Shop Program 30 day lock without a property, up to 180 days once property has been identified. ASCEND Get to the Next Level: We are driven to help our Loan Officers take their business to the next level with our exclusive “Base Camp” accountability program. This 6 month program includes an online immersive platform to help set goals, plan activities, and track progress paired with an accountability coach with a proven track record. Base Camp is designed for Loan Officers currently closing 1-2 transactions a month double their production, with a strong focus on building relationships and strong habits that will help them succeed throughout their career. Our marketing tools can help take your business to new levels. Whether further solidifying existing relationships or entering into new markets our on-demand, easy to use, and innovative marketing solutions will help you stand apart from your competition and deliver results. Open new doors with our product mix. Our program menu let you capture a deeper pool of borrowers and makes you more attractive to referral partners. Dedicated teams for both vanilla and specialty products, ensures consistent service levels and support. With our full portfolio at your disposal, along with point of sale tools and online verifications and validations through FastForward, we give you more ways to help your borrowers make informed decisions and position you as a lender for life. FastForward is Mountain West Financialâ&#x20AC;&#x2122;s solution for automated validation and verification. Integrated in your online portals FastForward helps eliminate headaches with your borrowers needing to gather documents manually and loans close on average 6 days quicker! Culture We are family Culture is not a singular action or deed, it is not a clichĂŠ, it is a continuous mindset that we embrace in everything we do. We are a team of professionals with shared principles and a promise to do the right thing, the right way, and for the right reason. We are passionate about service, and have invested in the tools and training that will make a difference. Any company can do the ordinary; our dedicated team goes above and beyond to do the extraordinary. The key to extraordinary is simple, it starts with decision making. We believe decisions should be made at all levels of the organization which take into consideration our valued clients, our communities and the company as a whole. We make decisions which ensure our future. Our team is more than just staff; we are a family. We expect a lot and hold each other to high standards. We invest in our family with educational opportunities for self improvement, financial planning, a strong benefit package, and growth opportunities. Our culture is conducive to high standards of work, strong ethics, and teamwork. This atmosphere produces a healthy, friendly, and stable environment. Weâ&#x20AC;&#x2122;re proud to say that on average, 98.5% of customer satisfaction survey respondents say that they would refer Mountain West Financial to their Family and Friends. Over 20% of those provide a testimonial at the time of the survey as well. Our comprehensive benefit package will give you flexibility and peace of mind today and for whatever the future holds. Support Here for you. From the moment you join our team, you will have an entire support system behind you. From branch and new hire on-boarding to the array of tools you’ll have at your fingertips, including our intranet, marketing solutions, technology platform, training opportunities and exclusive programs, you’ll have everything you need to increase your business. Branch on-boarding consists of hands-on training at your location to acclimate your team with our systems and processes. Our goal is to make your transition smooth and help decrease downtime. We do not believe in a “one size fits all” philosophy, so our training programs and opportunities are specific to job functions and location. In addition, we offer many personal growth trainings and opportunities, we believe that building a stronger team builds a stronger company. A vast array of on-demand, and live trainings are available to ensure our staff always has the information they need on the tools, systems, and programs available at Mountain West. Our robust technology platform is designed to help you succeed. Lending QB, our workflow based LOS is an end-to-end system that boasts â&#x20AC;&#x153;lights outâ&#x20AC;? integration, meaning everything you need is accessed with one login. From managing your leads to post closing, the streamlined processes will ensure the most efficiency. We look forward to working with you! For more information, contact us at Join@mwfinc.com or www.Join.mwfinc.com.